A popular sport in Michigan, hockey is a sport enjoyed by many. A series of local adult league tournaments help make hockey more than a game. It started with one tournament of four teams. At the Silver Puck Challenge this June, there will be north of 40 teams playing. What Brent Belanger found out over the years of running hockey tournaments in Grand Rapids is that hockey is much more than just a sport. “What hockey is, it is not just a sport. It is a community. People are human, and they have stuff going on that they use these tournaments as an escape to take their mind off of things,” said Belanger, who runs and operates An Edge Above Hockey Tournaments. What started as one tournament in the summertime has blossomed into three series of tournaments over the course of a calendar year. Belanger has put his heart and soul into helping grow these events as they gained more and more popularity over the course of the past few years. These tournaments have grown into a pretty reliable selection of events over the course of this time too. Numerous players of all skill levels have and continue to participate in these tournaments that Belanger has held. “We get a good amount of current college players playing, looking for something to participate in over the summer, but that doesn’t mean everyone plays in that bracket,” Belanger said. Based on a player’s experience level, whether they are a beginner or someone who played at a semi-pro or college level, there is definitely a division available to play in for one of these exciting tournaments. “These divisions based on your skill sets make it for a very fun time but competitive time too,” Belanger said. On top of having competitive adult hockey tournaments in the Grand Rapids area, Belanger has taken the time to honor those who helped grow the tournaments with him as well. Since the tournament schedule has expanded over the course of the past few years, Belanger has began naming the brackets of the tournaments in honor of those who have helped grow these events as well. Also, the unique trophies have given a special mystique about winning these tournaments as well. For example, the oldest trophy that Belanger has had in use for one of his tournaments is the Kegger Cup. The Kegger Cup is a trophy that his father built for him roughly fifteen years ago. It was the inspiration for him to begin his Hockey Hold ‘Em tournament. Initially, the Kegger Cup was built for a short-lived rivalry between two teams. One team was from Muskegon and the other was from Grand Rapids. 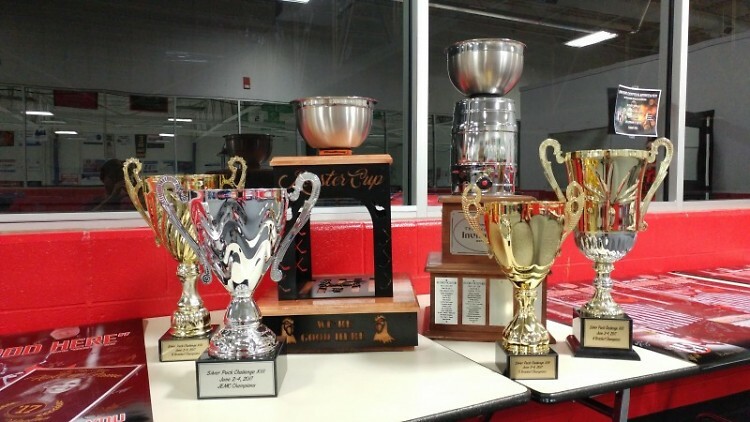 After the trophy went into hiding, it became in use for Belanger’s tournament, Hockey Hold ‘Em. The winners of this tournament get to put their names on the Kegger Cup, showing the history of who has won this trophy of those that played in the tournaments prior. Currently, Belanger is expanding the trophy collection and adding more and more of them each year to the winners of each bracket of each division as well. There are three main tournaments that Belanger operates. The most notable one is the Silver Puck Challenge, which takes place in June. In August, the next tournament on the schedule is Hockey Hold ‘Em. Hockey Hold ‘Em is a unique event, as it combines aspects of poker-style card playing into the potential success of the team. 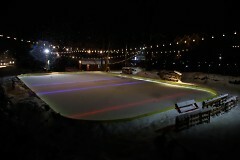 Over the winter as well, the Dekes and Dangles tournament takes place. 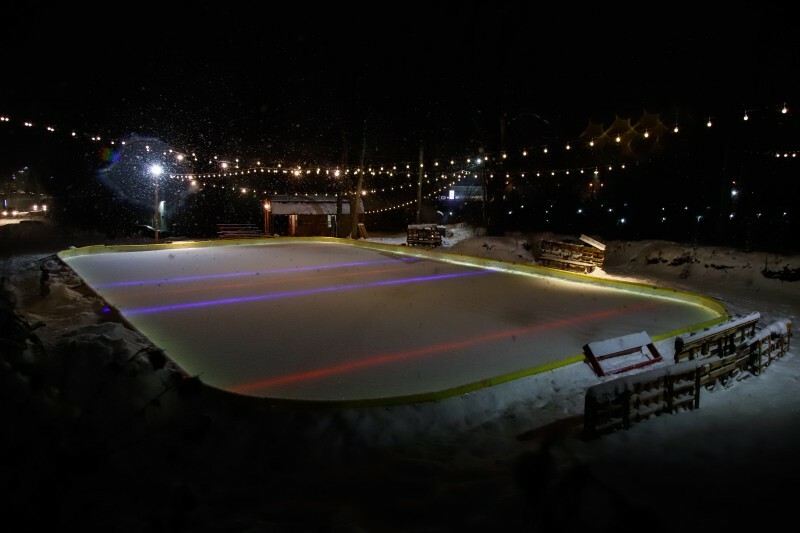 Dekes and Dangles is unique as it is a pond hockey tournament. The one thing Belanger does with precision is he schedules the tournaments well in advance. “By the end of each tournament, I can specifically tell those who played when the next one is. It gives that sense of security for when the next tournament will be,” Belanger stated. Community is always a beautiful thing. Brent has been able to do that through the three tournaments he runs at An Edge Above. “Hockey isn’t a sport, it is a community. That is what is the most important thing,” Belanger states. From the Silver Puck Challenge, to the Hockey Hold ‘Em and the Dekes and Dangles tournaments, An Edge Above has a deep tournament lineup for all skill sets, both men and women. If you are looking for a competitive adult hockey tournament to play in, this might be right one for you!